Wellington: They have hit the homestretch of a memorable three-month tour and a rampant India will be fancying another series win when they clash with under pressure hosts New Zealand in the opening T20I here on Wednesday. While regular skipper Virat Kohli is getting the much-needed rest, the Rohit Sharma-led squad will be hoping it has enough left in the tank to record a maiden T20I series win in New Zealand, following a record 4-1 result in ODIs and a historic tour of Australia. The preceding ODI series solved a part of the puzzle as India look to finalise their 15 for the World Cup. But there are still a few spots up for grabs and the T20I series can help the team management zero in on the squad for the mega event in England in May-July. 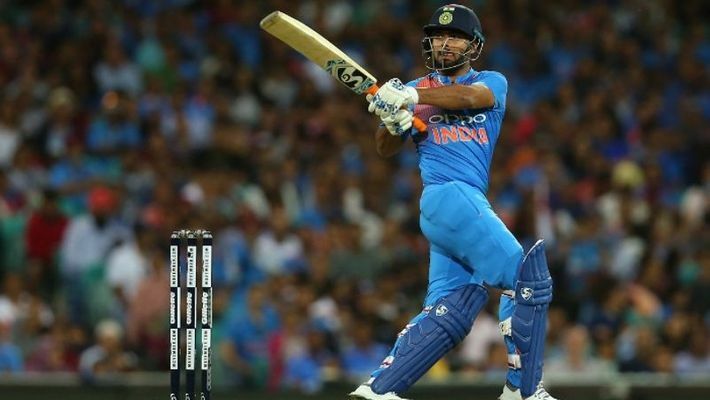 Young wicket-keeper batsman Rishabh Pant, who was not part of the ODIs, returns hungrier and has a big opportunity to stake a claim for a World Cup spot. Veteran Mahendra Singh Dhoni is back in the T20 mix after being omitted from the series against Australia last year and his performance will also be keenly followed. He last played a T20I in July. Following the high of the Test series Down Under, another stellar showing might just convince the selectors to include Pant in the final 15. Nineteen-year-old Shubman Gill showed glimpses of his much talked about talent in the final two ODIs but did not allow himself to settle in his debut series. In Kohli's absence, he might get to bat at number three again. Ahead of the game, he was also seen practising with a tennis ball to counter the bounce and swing generated by the home team's pacers. The ball swung initially at the Westpac Stadium on Sunday and New Zealand pacers will be itching to exploit that but they won't have the services of premier fast bowler Trent Boult, who has been rested. India: Rohit Sharma (captain), Shikhar Dhawan, Rishabh Pant (wicketkeeper), Dinesh Karthik (wicketkeeper), Kedar Jadhav, MS Dhoni (wicketkeeper), Krunal Pandya, Kuldeep Yadav, Yuzvendra Chahal, Bhuvneshwar Kumar, Siddarth Kaul, Khaleel Ahmed, Shubman Gill, Vijay Shankar, Hardik Pandya, Mohammad Siraj.